Race-car drivers know that whatever they look at is where their race-car aims itself. If they look at dangers and walls they will smack right into them. 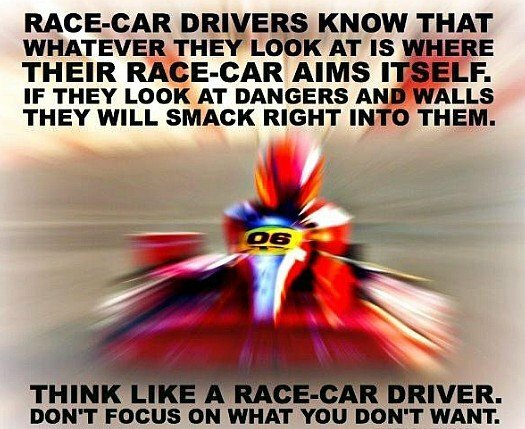 Think like a race-car driver. Don’t focus on what you don’t want.